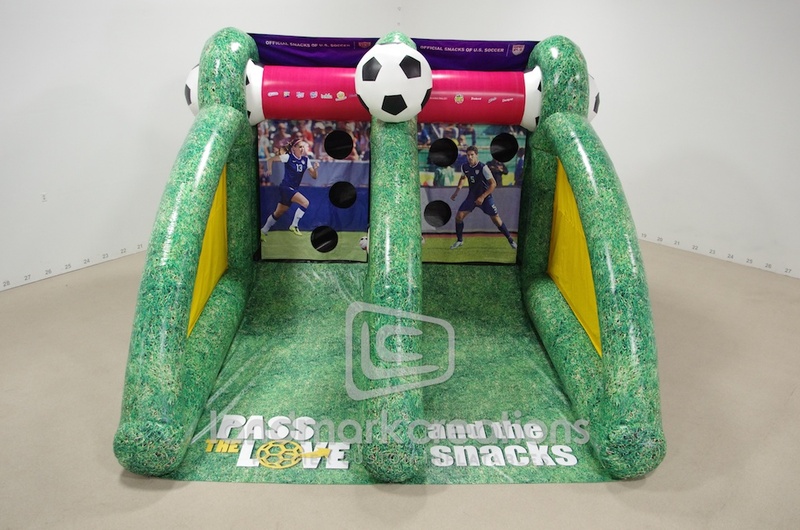 Snack company, Nabisco, inflated this dual soccer cage during their Pass The Love summer campaign. 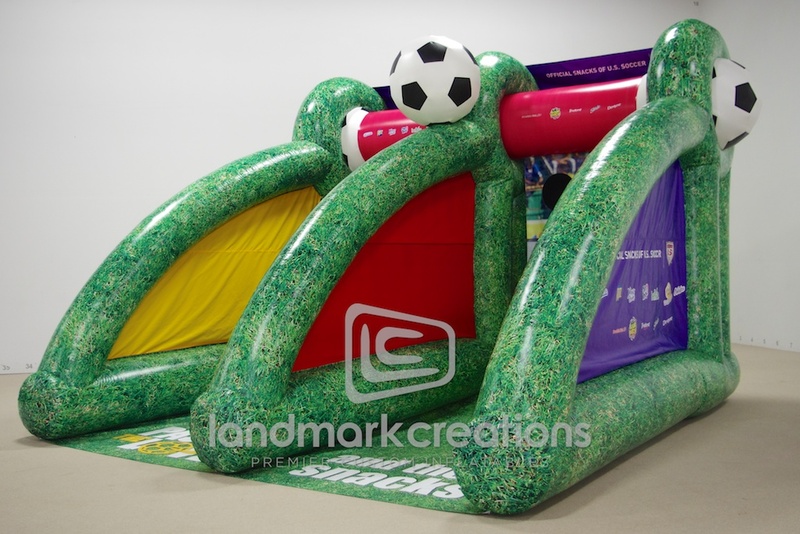 The official snacks of U.S. Soccer welcomed soccer fans to participate in their campaign for a chance to win some amazing prizes! 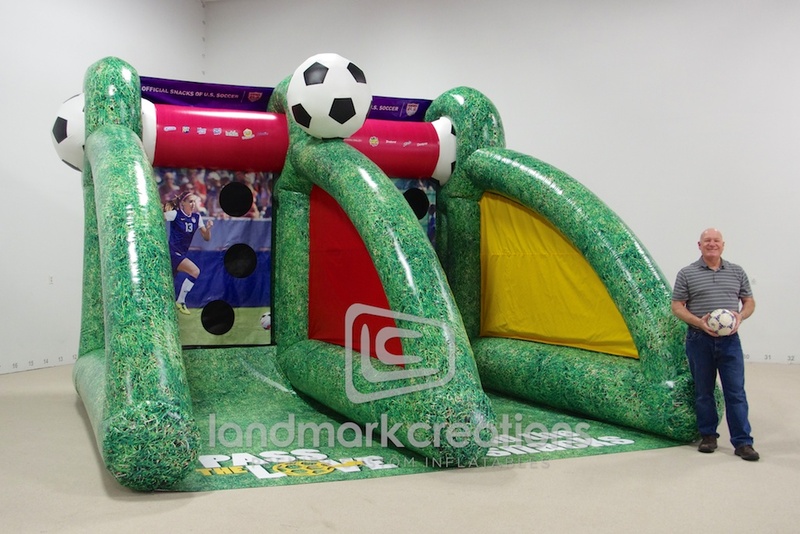 Pack DIMs: 24" x 30" x 30"